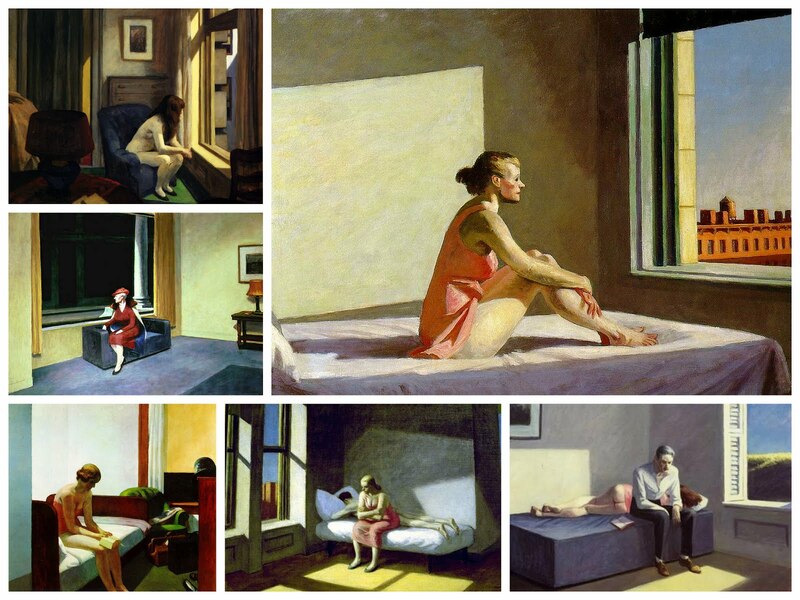 A well-curated comprehensive overview of Edward Hopper's work which features his most famous pieces (yes, even Nighthawks) and traces his influences and artistic evolution. The exhibit ends on February 3. 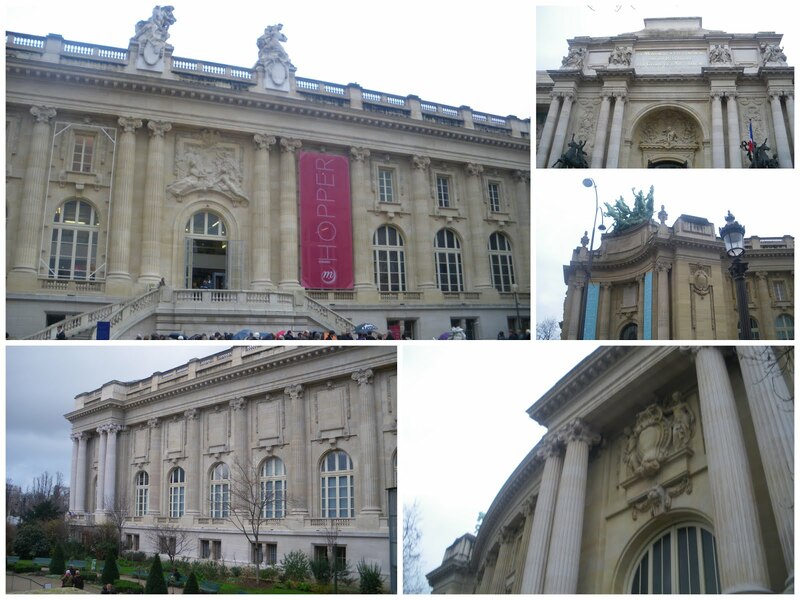 Stepping into the dedicated Hopper exhibit at the Grand Palais, I realized how little I actually knew about Edward Hopper. My knowledge of his oevre was fairly generic: my father's had a framed poster of Nighthawks for as long as I can remember, and through pop culture and whatnot I could comfortably identify Hopper's general style and works like Summertime and Gas. Based on my (admittedly limited) exposure, Hopper's art always evoked the imagery of 1950s Americana to me. I suppose I'd formed this mythlogy about him as an American painter, likely self-trained, who traveled the States to capture his iconic but everydayish scenes (you would not believe how often the audioguide uses the word "banal" to describe the subjects of Hopper's art). My biggest surprise was that Hopper's paintings come from an earlier period than I thought. 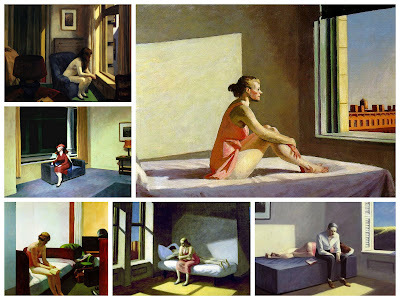 Hopper (1882-1967) began painting at the turn of the century; since his career didn't take off until he was in his 40s, he supported himself by working as an illustrator (which he hated, but it still makes an inspiring "stick to what you love and you'll find success" story). 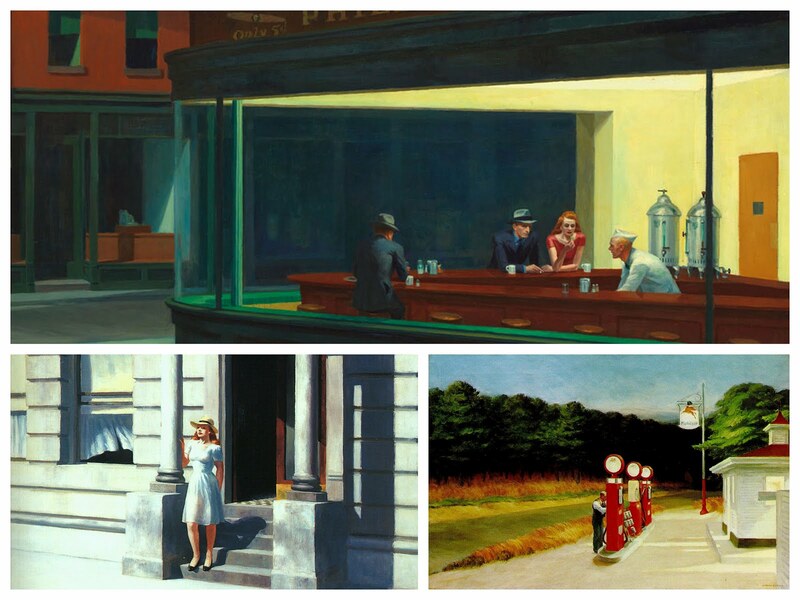 His most distinctively "Hopperian" works stem from the mid-1920s onwards - he completed Nighthawks in 1942. I was also surprised to learn about the depth of Hopper's artistic training, which included three stints in Paris. The first part of the exhibit contextualizes Hopper's genesis against the background of works by other painters. These include his teacher in the States, Robert Henri, who wanted to found an American school of art influenced by Europe's realist impressionism (especially Manet) in opposition to the then rather conservative National Academy of Design. 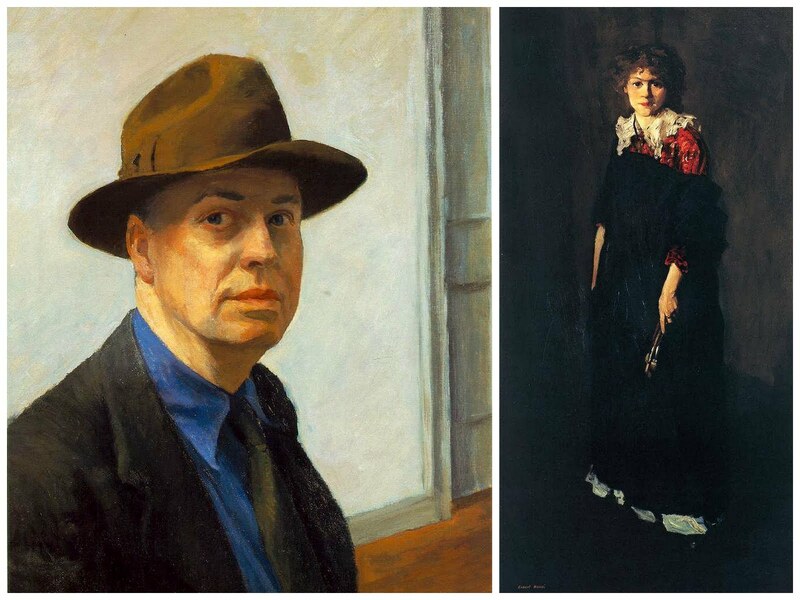 Henri also taught Hopper's wife, Josephine (nee Nivison), whom he immortalized rather puckishly in The Art Student (on the right; the left is a self-portrait by Hopper himself). 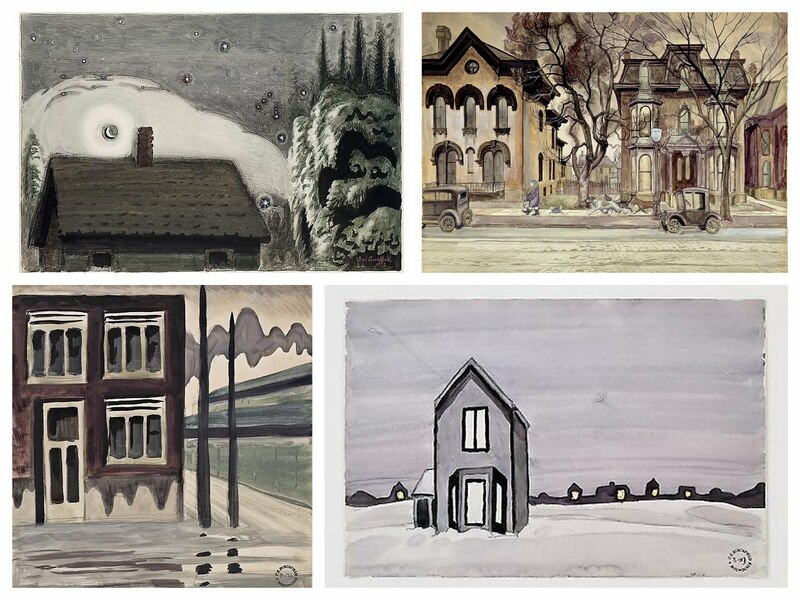 Other featured artists and works range from the well-known (Pissarro's Avenue de l'Opera) to the vaguely obscure - such as Charles Burchfield. Hopper had a keen appreciation of Burchfield's style, and there are resemblances to Hopper in Gray House and Corner House (less so in Orion and the Moon and Promenade). The exhibit further features a looped wall-sized slideshow projection of two photographers whose works inspired Hopper: Mathew Brady, the purported "father of photojournalism" who traversed the American South during and after the Civil War, and Eugene Atget, who photographed scences of Paris in the early 20th century - with a focus on documenting buildings ripe for demolishment. The only non-Hopper art which seems vaguely incongruous is Philip-Lorca diCordia's series of photos of male prostitutes in Los Angeles. The curators argue that "the entirely preconceived, artificial nature of the images, with their theatrically staged lighting, strongly suggest a contemporary transposition of Hopper's paintings" - and though I can see it in the photos selected for the catalogue (William Charles Everlove and Ike Cole), the majority of diCordia's photos suggested the link is tenuous at best. Modern works like Hopper afficionado Wim Wenders' Street Corner (2003) come across as much more Hopperian. 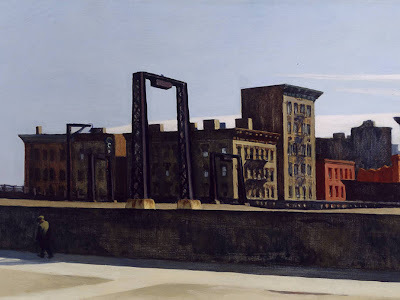 As for Hopper's art itself: the way this highly extensive exhibit is curated shows that though his technical expertise and even selection of themes was already pronounced at an early stage (so no radically different periods a la Picasso), experimenting with different media refined his style. Hopper himself said that working with etchings (1915-1828) "crystalized" his painting techniques, which can also be said for his watercolors (1923-1930) and even his despised forays into illustration. Some of his earlier works are already striking (I love New York Pavements, but that may be because I find the thought of a nun pushing a pram disproportionately amusing), there are also works from the 1950s which are less so - in general, though, it's an upward trajectory of increased depth and expression in his paintings. The people in rooms are usually depicted waiting, though it's not clear what they are waiting for. The hotel room paintings convey this most drastically - which makes sense, since these people are away from their familiar surroundings and confronted only by themselves, forced towards an existential scrutiny. Pretty much every subject with a far-off gaze, whether physically or emotionally isolated, is a bit of a J. Alfred Prufock - but whether they have it in them to force the moment to its crisis remains unclear. The themes are feelings of emptiness, melancholy, and isolation (already present in 1914's Soir Bleu) - which stand in strong contrast to the richly saturated colorschemes and strong presence of light. Or does the domineering presence of light imply that things aren't as dark as the subjects' expressions would suggest, that there is beauty and meaning in the world if they would only see it? The theater-related paintings, in turn, emphasize artifice and spectatordom in a type of Verfremdungseffekt, while Hopper's paintings of the industrial cityscape look like fodder for the cultural Marxists out there. Like this worker, literally in the shadow of the machinery to which he is enchained. And Nighthawks? I had previously seen the painting at the Art Institute of Chicago, which - in the late 90s at least - was a bit crowded with art. So it's nice that at this exhibit, is has a dedicated wall (and a throng of viewers). The exhibition catalogue is a good supplement to the exhibit. It contains all the works in the exhibit (including those by other artists) as well as essays on Hopper and his role in American art. Though it's worth buying this in the larger museum shop, since the pop-up right outside the exhibit is completely overrun - Nighthawks bookmarks for everyone.